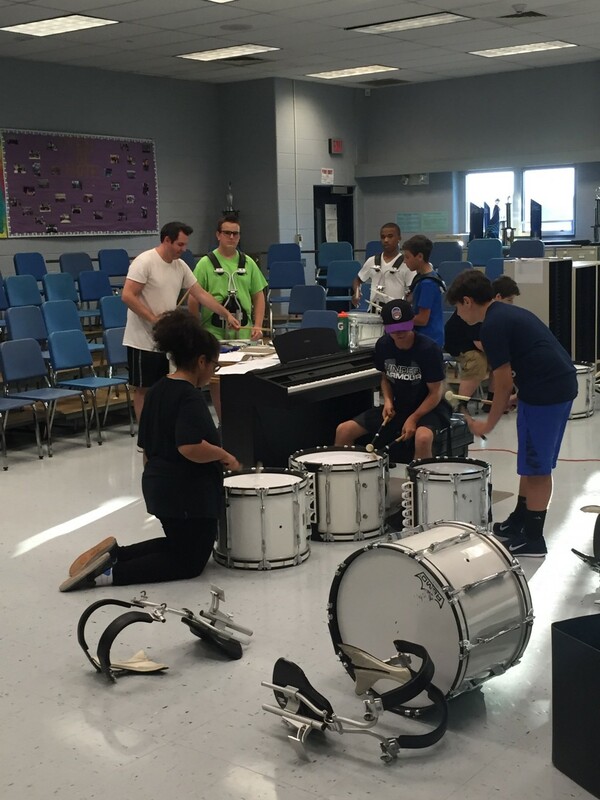 Sonny and Cher famously took the pop confection “The Beat Goes On,” to the top of the charts more than 50 years ago, but that sentiment still rings true in 2018 for the Cherry Hill West High School marching band. Under the guidance of director of instrumental music Jim Mark, the band re-formed for the current school year after being inactive for almost a decade. Mark has served with the school for 18 years and has spearheaded the department for all that time, so he was a natural choice to pick up right where he left off. When former Gov. Christie took office in 2010, Mark said, there was a $12 million deficit in the budget, and, as a result, two positions in the marching band were cut along with any funding for transportation. That meant the band was totally prevented from traveling to road football games as well as competitions both statewide and nationwide. Though the marching band itself was still active during the school year following Christie’s ascension to the office, West’s football field — still grass at the time — became worn due to use, and frequent rains turned it into a mud bath that made it almost impossible to put on a decent performance. From there, a collective decision was made to drop the marching band and maintain the pep band, where students would be limited to playing in the stands during the Lions’ home football games. However, a series of interconnected events led Mark to consider adding the marching band back to his list of responsibilities. 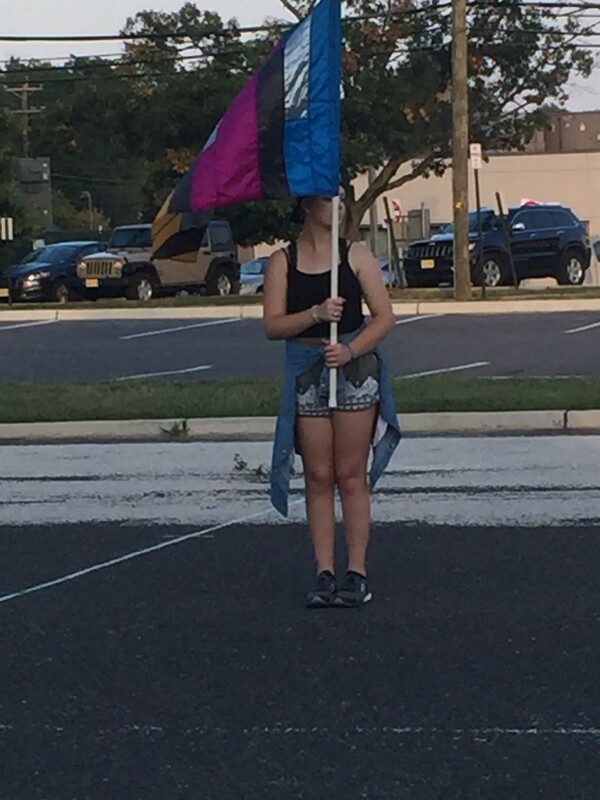 Cherry Hill West High School’s marching band color guard practices this past Wednesday. Prior to that hiatus, the thunderous sound of West’s best made the rounds and made its mark competitively. With Mark presiding, the marching band was heavily active for seven years in the United States Scholastic Band Association, winning two group championships and several regional titles. For now, he’ll just settle for everyone showing up on time, hitting their marks, memorizing the routine, keeping in time, and most importantly, staying cool, calm and collected in the blazing heat which is becoming a part of the start to each school year.